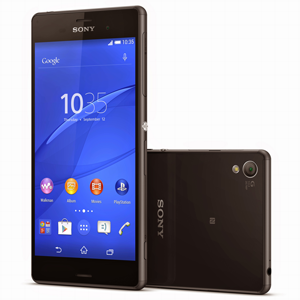 The Xperia Z3 runs on a 2.5Ghz quad-core Qualcomm Snapdragon 801 processor, 3GB of RAM, 16GB internal storage and a 3100mAh battery. The 5.2" IPS LCD display has a 1080p resolution and utilises Sony's Triluminuous backlighting technology. The Xperia Z3 is also IP65 and IP68 compliant, meaning it's good for those dusty or wet environments. The exterior has all smooth curved edges, with a metallic frame and scratch resistant coating.